Facebook is a social networking website which allows you to connect and share anything with your family and friends. It is currently the largest social networking website with more than 2 billion monthly active users. Although Facebook plays a significant role in our life, over using it in excess can cause negative effects on an individual’s time management, mood, relationships, and health. Just imagine how many hours have we had wasted on Facebook just to check our friend's updates, messages, comments, likes and others. One may also concern how Facebook deals with their private data. In the latest Cambridge Analytica data scandal which involves illegally used of Facebook data to manipulate the US elections, has sparked the fear of social media users that their personal information might be collected and sold to a third party. So, if you finally have had enough of Facebook and determine to delete Facebook account permanently, you may check our guides as follow. 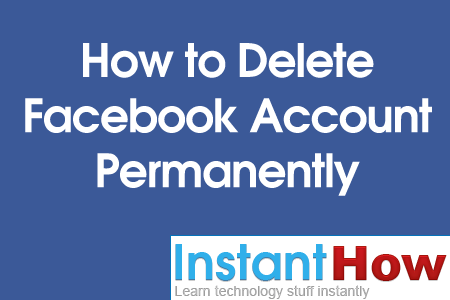 We've created the following guides for you on how you can delete Facebook account permanently. We'll be covering other useful guides on how to backup Facebook account, and also temporary deactivation of your account instead of deletion. 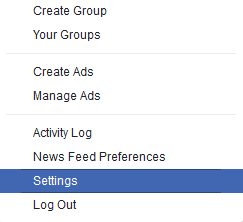 On the top right, click on the drop down icon to open the Facebook menu. From the drop down menu, select Settings. Under the General, Click on Download a copy of your Facebook data. Click on Start My Archive and your Facebook account data will be downloaded to your system. This download includes your posts, photos, videos, messages, chat conversations, and your profile info. Now you are done with backup your data. You may now proceed to delete Facebook account permanently. Just visit https://www.facebook.com/help/delete_account and click on Delete My Account. Please note that there is no way to reverse this decision later on. It will take about 90 days to completely wipe out your account data from the Facebook's servers. You can also deactivate Facebook account instead of deleting it. By deactivating, Facebook will remove most of the things you've shared. This include your photos, your profile and others. This is how you can deactivate Facebook account. Under General, Click on Edit link for Manage Account. Scroll down and under Deactivate your account click on the Deactivate your account link. To Activate back your Facebook account, simply just login with your old Facebook email and password.